Product information "Shimano XT FH-M8010 CL disc HR 12x142mm centerlock black"
Shimano's XT M8010 hub with 12x142mm thru-axle standard is the weapon of choice for cross country and trail riders. The XT 8010 hub uses a center-lock disc brake rotor mount. Bearings in the Shimano Deore XT M8010 have double contact sealing and super polished bearing races for low friction rolling. 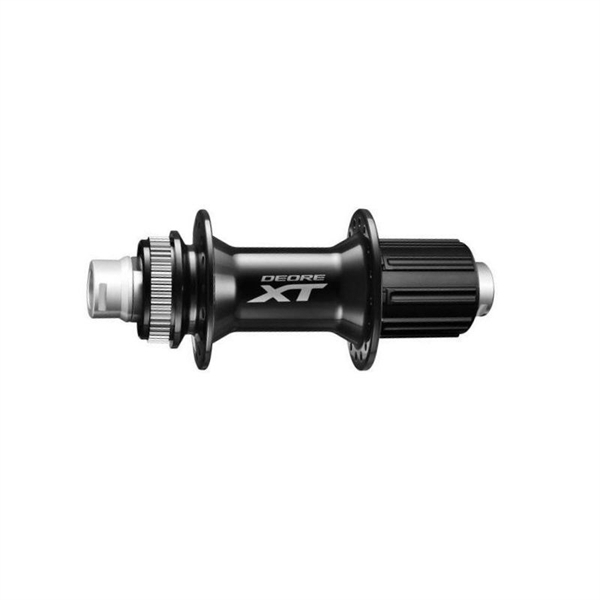 For extra stiffness, Shimano uses a 12x142mm thru-axle.Shimano freehub body features lightning fast engagement and compatible with 8,9,10 and 11 speed Shimano MTB Cassettes. Related links to "Shimano XT FH-M8010 CL disc HR 12x142mm centerlock black"
Customer evaluation for "Shimano XT FH-M8010 CL disc HR 12x142mm centerlock black"